← Waves of life require a Personal Leadership System ©. 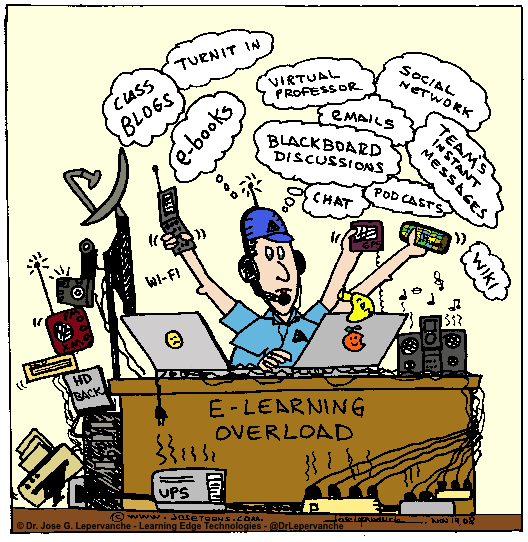 E-learning Overload eventoon was done on November 2008 in preparation to 2009 International Conference on College Teaching and Learning. It is the same drawing now in color. Oct 2013. This entry was posted in Colortoons, Conferences, Eventoons, Eventoons - FCCJ, Learning Edge Technologies. Bookmark the permalink.